Finding a good car can be tough, but finding good people movers? Now that can be downright insane. 8 seater cars are no easier. People movers (as the name suggests) are vehicles that are specifically designed to move large numbers of people. 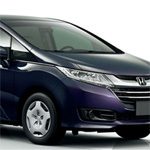 For example, the family minivan can be considered a people mover, as they are designed with mass transportation in mind! This is the type of car that will suit a large family with lots of kids and maybe a dog or two. Vehicle manufacturers have heavily targeted these rear occupants, when they set out to design a people mover. The comfort of the rear occupant is key to getting the minivan in the hand of the family. The kids want cool looking and comfortable seating, easy access around the van, and of course, in car entertainment, such as DVD players and game consoles. 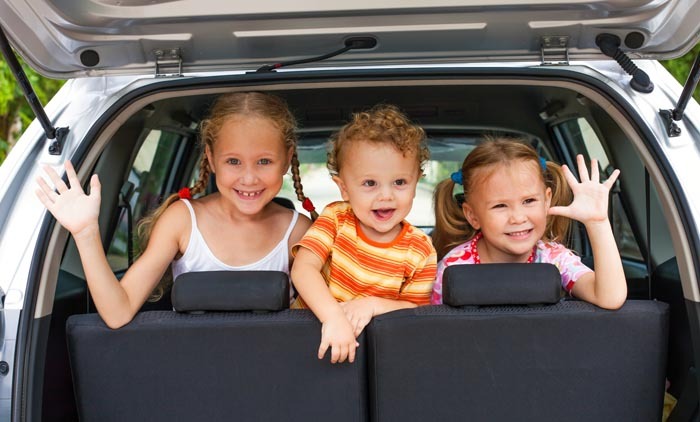 When looking for that minivan or people mover for your family, make sure you bring the kids as they will usually be the deciding factor in which van you choose. The 8 seater range was once found only as utility level multi-purpose vans, today’s 8 seater cars are both functional and beautiful. When it comes to the top vehicles with eight seat capacity, there are four that stand out from the crowd. While there are many larger vans out there, finding the minivan level people mover is going to leave you with these top 4 choices. Let’s take a look at some of the top people movers and 8 seater cars available today. Plus the suspension works flawlessly with both a light and heavy load, there’s never a sluggish response with this car. True power and green awareness in one excellent package here. That is just one factor in why this car is number one. The other is luxury in both interior and exterior details and superior grade technology at your fingertips. You get lugano leather seats, e-class level dash controls, and a command aps system standard that gives you a 6.5 inch full color display and HDD navigation tools that are voice activated. For luxury chauffeured services, this is typically the only choice offered, because it’s that good. Read our Mercedes-Benz Viano Review. More rugged than the Mercedes-Benz, it offers great handling with a sporty flair. It works to haul lots of stuff as well as suiting passengers with comfort. It is not as fuel efficient as other cars but fair for its class, and there is a range of power options for the engine. Where it really shines is the remarkable safety features. If you want to make sure you family is protected, this is the one for you. It has multiple airbags and a range of technology features that make it among the safest car on the road. 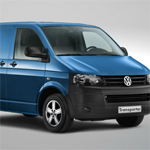 Read our Transporter Shuttle Review. Fairly well powered and moderately efficient in fuel consumption, it is angled at going toe to toe with the VW on safety, with the added plus of luxury. It falls in the middle between the top 2 on features but doing both things moderately well, lands it in 3rd. You will enjoy how it handles however, and be pleased with how the seats fold to give additional cargo room as needed. Completely specialised, the Toyota Land Cruiser quite literally has it all. The Land Cruiser offers you ample seating and all you need for off-roading as well as a comfortable ride in the city or on the open road while towing a caravan around Australia with the family. It has outstanding ride quality and sport oriented, road hugging power, the Toyota LandCruiser 200 series has the added advantage of being quite remarkable so far as cost effective, energy efficient operations. Seating for eight can still be an affordable ride with the twin turbo V8 diesel claiming 10.3L per 100km. 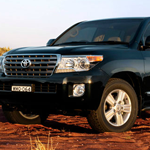 Read our Toyota Land Cruiser 200 series Review. 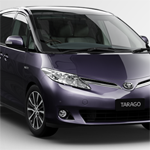 Recent updates to both the look and the handling of the Toyota Tarago give you great new road hugging power, a superb new transmission and improve fuel economy. In addition, you’ve got the capacity to transport a large group of people in style and in comfort. While the four cylinder model seems to be a slight letdown for the users who reviewed it, the new V6 model seems to have impressed fans and critics alike with the get up and go that these cars have to offer. With outstanding fuel usage and a 0 to 100 in just over seven seconds, the Toyota Tarago does not disappoint. Great fuel economy, 4 wheel ABS and excellent traction control are just part of what makes the Lexus LX570 a superior model. Options like daytime running lights, advanced air bag features and energy management that helps to save fuel are other reasons to take a second look at the Lexus LX570. Overall safety ratings are excellent and the economy and comfort of the Lexus LX570 were just a few of the reasons why customers opted for this outstanding vehicle. It may come as a bit of a shock that the Ford Explorer, what is considered by many to be a humble automobile ranks in the top 20 affordable 8 seater SUVs on the market today. The majority of reviewers were in love with the roomy and attractive inside while the fuel economy and the great handling also helped it to hit the high marks for those who owned one. A standard V6 engine offers a reasonable amount of power to the driver while enhanced safety features bring it home for the Ford Explorer. 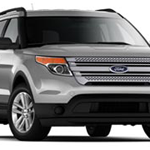 Read our Ford Expoloer Review. This version of the Kia has had some rocky moments. The Carnival nearly wasn’t created at all when their V6 blew head gaskets one after another in the initial creation. Kia came back with a people mover that was bigger, better and far more impressive than the initial design. The V6 engine is zippy but fuel efficient and the roomy interior offers a styles means to move a crowd on a budget. It is safety conscious and offers you a great way to get where you’re going in a cost effective way. 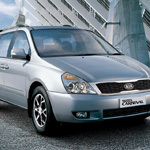 Read our Kia Grand Carnival Review. The Odyssey is a seven seater that has a turning circle of 5.4 meters at the wheel center, meaning you won’t have to worry about sharp corners. In addition to that, it features 129Kw of power and 6200 RPM. For those of you who don’t know their car lingo, this means you won’t have to worry about hills, even if your vehicle is loaded with passengers and luggage. The Odyssey boasts a 5-speed automatic transition using Grade Logic control, allowing it to automatically determine the right shift points depending on the road. Read our review of the Honda Odyssey. The Kia Rondo is a seven seat vehicle that can get up and over hills, but it also brings an entirely new dynamic to the mix. This is an extremely adaptive vehicle that can help with every part of your life. The vehicle can quickly adapt for various situations, including equipment runs, which can be very important in people movers. The interior is incredibly roomy and capable of fitting just about anything. For a people mover, the R Class is incredibly sporty and dedicated to making your journey as smooth as possible. 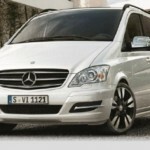 It provides you with plenty of different possibilities while ensuring that seven people can travel in absolute comfort. This of course is due in part to the rear suspension, along with the highly ergonomic seats. If you want a large group of people to travel in comfort, then you couldn’t go wrong by choosing Mercedes-Benz. The R-Class has been around for nearly a decade, and looks to be set for the next. If you are looking to transport crowds of people simultaneously, then may we suggest the Nissan NV series? This is a 12 passenger vehicle with water repellent cloth seats, eight cup holders, eight standard air bags for increased safety, and the optional 5.6 Litre V8 engine for maximum speed. This vehicle is a bit on the expensive side at more than $33,000, but it is well rounded and capable of carrying anyone anywhere. 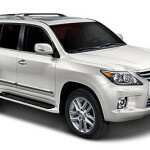 These are a few of the most popular large family vehicles from the most popular brands out there. When you are looking for your own large car, you will need to ensure that they meet your specific requirements. For example, they need to be able to withstand the fury of your passengers. If you are transporting children, waterproof seating would always be a plus! The same would go for a sports team as their equipment can begin to smell a bit rank after a while. Make sure the vehicle is easy to clean, and that it is comfortable for you to drive as you may be in it a lot. You never know just what might happen in the business of people movers and 8 seater cars.